The Chippewa Valley Geek: The CVG Actual Play & Community Theater Podcast 035 - The Night Witches One-Shot (Part One): Tonight We Fly! The CVG Actual Play & Community Theater Podcast 035 - The Night Witches One-Shot (Part One): Tonight We Fly! Episode 35 of The CVG Actual Play & Community Theater Podcast is up here and is on its way to stores near you (i.e. iTunes)! 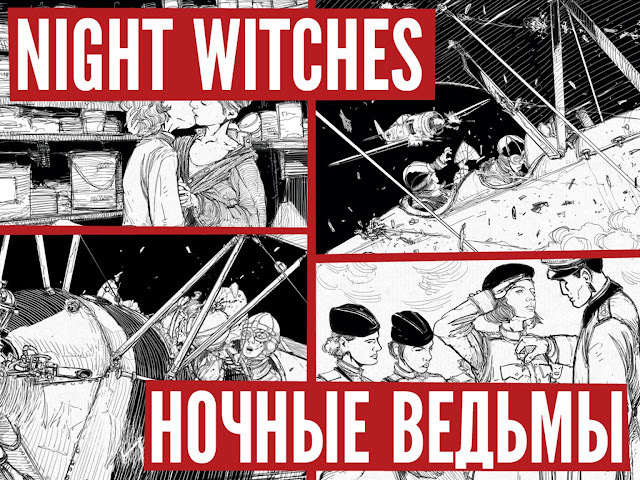 The game this time is a one-shot of Night Witches, created by Jason Morningstar and published by Bully Pulpit Games! Tonight We Fly! Music: "Hymn To Red October"